Daryl Johnson (Worcester Park, United Kingdom) on 18 March 2010 in Architecture. These houses are quite big! Fine capture Daryl. Somehow these buildings remind me of the old farms in Germany's Black Forest region. @vu@granby - Wolfgang: Yes; very similar Wolfgang. This is one splendid specimen! @Japanalia: It's a fine one isn't it? 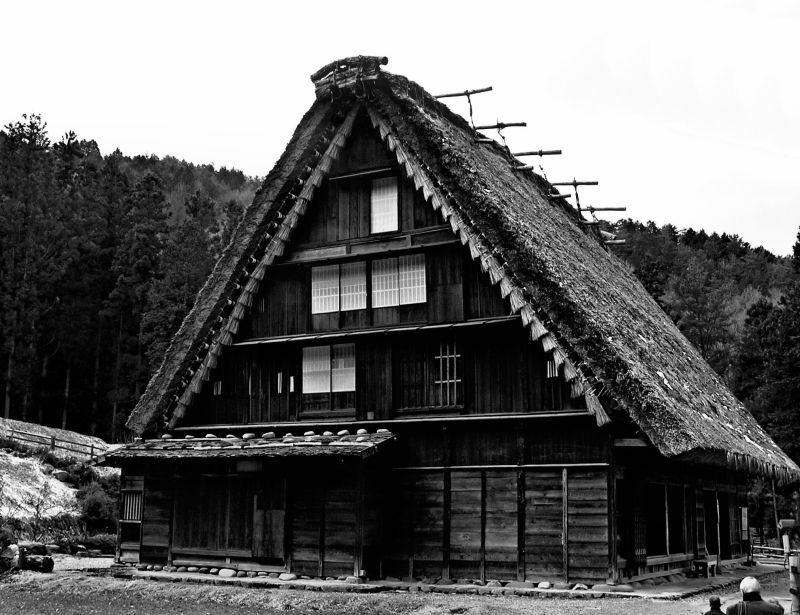 Very nice BW picture and big traditional house. I'm a pop star to my children ......well, not really.